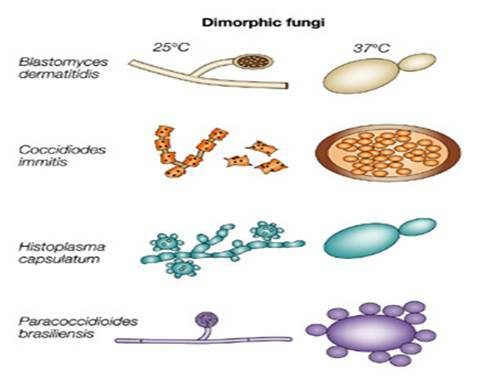 Kingdom Fungi: General characters of each zygomycetes, ascomycetes, basidomycetes and deuteromycetes - Three characteristics with two examples. Definition and explanation of lichens and mycorrhiza. All are eukaryotic: Possess membrane-bound nuclei (containing chromosomes) and a range of membrane-bound cytoplasmic organelles (e.g. mitochondria, vacuoles, endoplasmic reticulum). FORM: Most are filamentousComposed of individual microscopic filaments called hyphae, which exhibit apical growth and which branch to form a network of hyphae called a mycelium. Some are unicellular e.g. yeasts. Protoplasm of a hypha or cell is surrounded by a rigid wall Composed primarily of chitin and glucans, although the walls of some species contain cellulose. Many reproduce both sexually and asexually: Both sexual and asexual reproduction often result in the production of spores. Although the Oomycota and some yeasts possess diploid nuclei. All are achlorophyllous: They lack chlorophyll pigments and are incapable of photosynthesis. All are chemoheterotrophic (chemo-organotrophic)They utilise pre-existing organic sources of carbon in their environment and the energy from chemical reactions to sythesise the organic compounds they require for growth and energy. Possess characteristic range of storage compoundse.g. trehalose, glycogen, sugar alcohols and lipids. May be free-living or may form intimate relationships with other organismsi.e. may be free-living, parasitic or mutualistic (symbiotic). They are cosmopolitan in distribution and can occur in any habitat where life is possible. Some fungi occur in fresh water or marine water, other are terrestrial and still others are air borne. Many species are parasitic, infecting plants, animal and human beings. Many of us are familiar with the appearance of mushrooms and toadstools. But these structures are simply the large, macroscopic fruiting bodies produced by some groups of fungi. The main fungal body consists of branched and filamentous hyphae, which form a net-like structure, known as mycelium. Mycelial fungi can be septate or aseptate. Electron microscopy has revealed that several different types of septa exist among the major taxonomic groups of fungi. Some fungi are capable of alternating between a mycelial growth form and a unicellular yeast phase. This change in growth form is often in response to some change in environmental conditions. This phenomenon is exhibited by several species of fungi that are pathogenic in humans, e.g. Paracoccidioides brasiliensis. The higher fungi (Ascomycetes, Basidiomycetes and deuteromycetes) are non-motile, i.e. motile cells do not occur in their life-cycle at any stage . In lower fungi (Phycomycetes) the reproductive cells and asexual zoospores are uni or bi flagellate. Tinsel (pantonematic) flagella are with numerous minute hair- like mastigonemes on their surface. In majority of fungi the hyphae form a felt like structure, but in some advanced fungi they may undergo certain modification in response to functional needs. Prosenchyma: When the component hyphae lie more or less parallel to one another, they unite to form a rather loosely interwoven structure where individuality of hyphae is not lost. Pseudo-parenchyma : When the hyphae are completely fused to each other and lose their individuality the mass is called pesudo-parencyma. Sclerotium : The interwoven hyphae becomes so much compact that the mass becomes rounded and cushion like. Rhizomorph : In this the hyphae of the mass fuse to each other and forming rope like structure running parallel to each other. Haustoria : They are intracellular absorbing structure of obligate parasitic fungi, meant for absorbing food materials from the host.They secrete specific enzymes to penetrate in host cell. Fungi that take their food from host plants and die with the death of host are called obligate parasites. Fungi parasitic on plants have specialised hyphae called haustoria, - which penetrate host cells and absorb nutrients present there. Haustoria may be knob-like or branched. It is normally saprophytic or lives freely but can become parasitic on certain occasions. 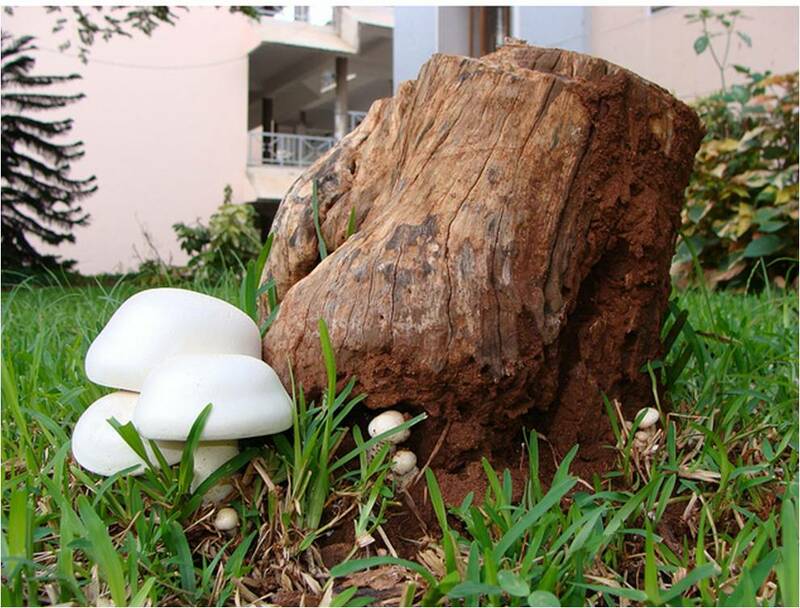 Fungi which take their food from decaying organic matter only are called obligate saprophytes. An organism, usually parasitic, that occasionally may live and grow as a saprophyte. Mycorrhiza: Some fungi occur in a long-lasting beneficial association with roots of higher plants. This association is termed as mycorrhiza. Lichen : A symbiotic association between green or blue-green algal cells and fungal hyphae. In most of the fungi only a part of the vegetative mycelium form reproductive unit and the rest remains vegetative. Such fungi are known as eucarpic. However, in unicellular fungi whole vegetative cell transformed into a reproductive unit, such as they are known as holocarpic. They reproduce by vegetative, asexual and sexual stage. 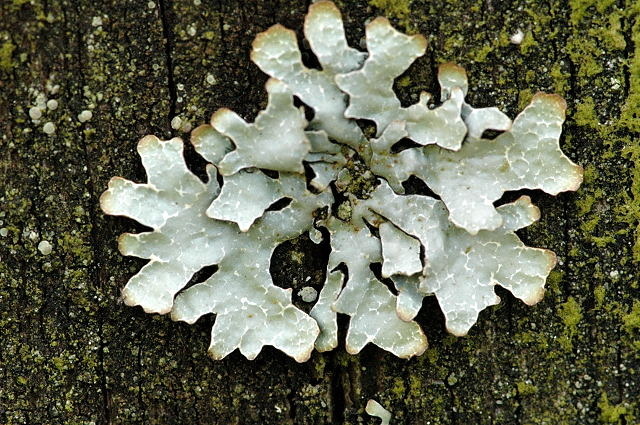 Lichens are symbiotic associations i.e. mutually useful associations, between algae and fungi. The algal component is known as phycobiont and fungal component as mycobiont, which are autotrophic and heterotrophic, respectively. Algae prepare food for fungi and fungi provide shelter and absorb mineral nutrients and water for its partner. So close is their association that if one saw a lichen in nature one would never imagine that they had two different organisms within them. 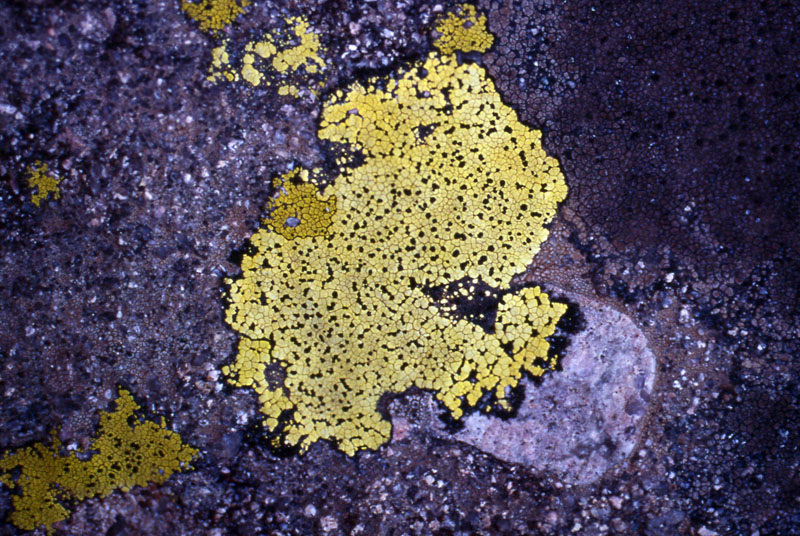 Lichens are found growing in all sorts of habitats. They grow on on bare rocks, barks of trees, dead wood, leaves, branches or on open ground. They are adapted to survive under great extreme of heat, cold and drought. 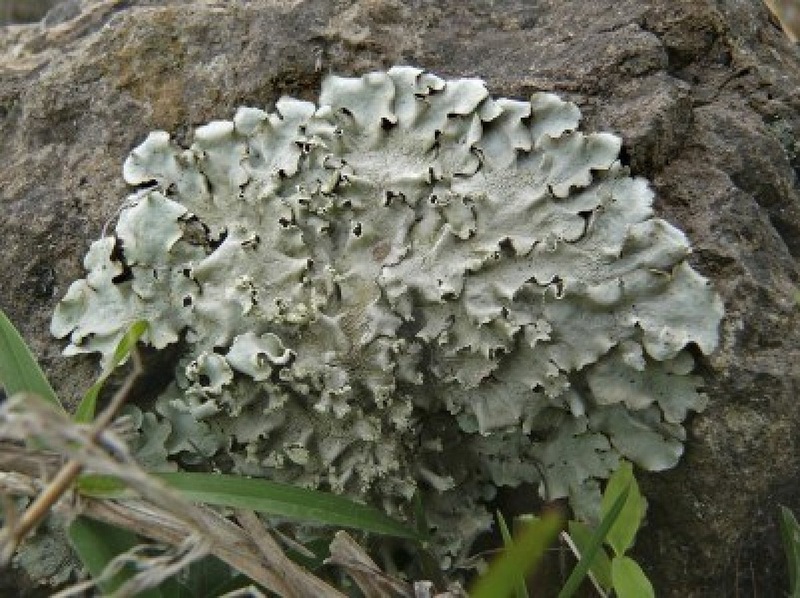 In India, lichens are found all over Himalayas and higher hills of the peninsula. Lichen may be bluish-green, greyish green, yellow, orange, reddish, brownish or black coloured. Based on their external form, they are of the following types. The major part of lichen body is composed of closely interwoven hyphae of the fungus in association with the algal component. Vertical section through lichen thallus: algal cells are stained dark blue. In lichens, it is only the fungal partner that contributes to the sexual reproduction. The sexual reproduction in ascolichen and basidiolichen resembles to that of ascomycetes and basidiomycetes respectively.